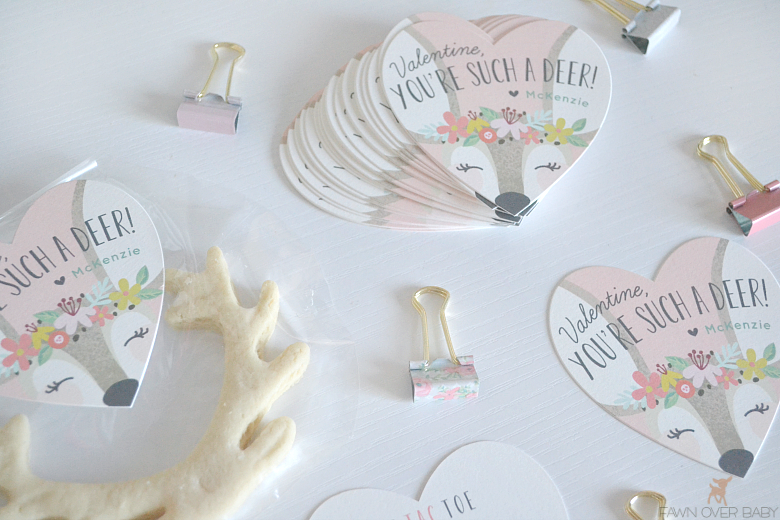 So a few weeks ago I shared with you my roundup of my favorite Classroom Valentine Collection from MINTED! Have you checked them out yet? If not, you should! 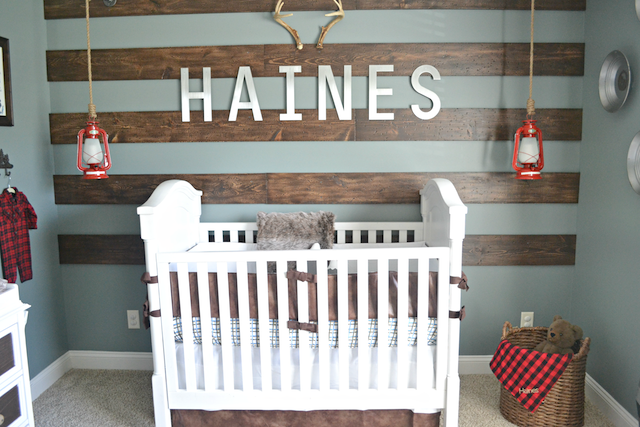 They have the sweetest collection of so many styles, designs and color options to choose from - not to mention every design can be customized to better fit your little's style and personalized with his/her name! We received them not too long ago and they are as cute in person as they are on the computer screen! They are the perfect size for little hands to pass out. 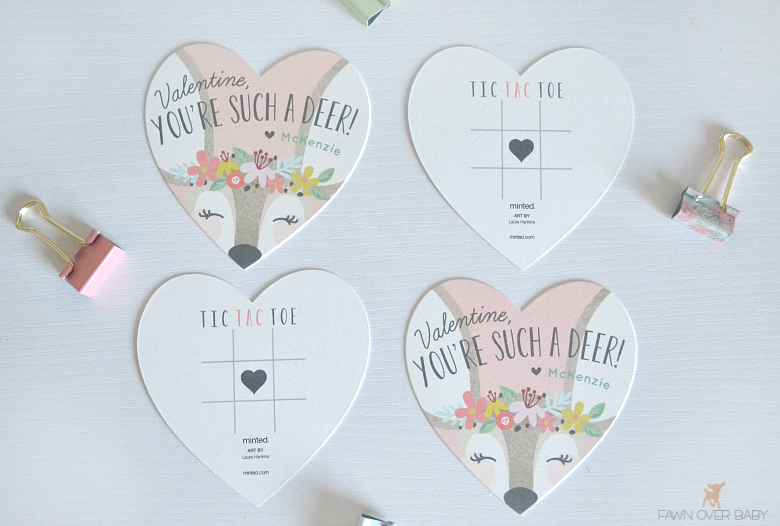 The adorable backing option of tic-tac-toe is so genius and is a sweet little extra treat for all of our little recipients! 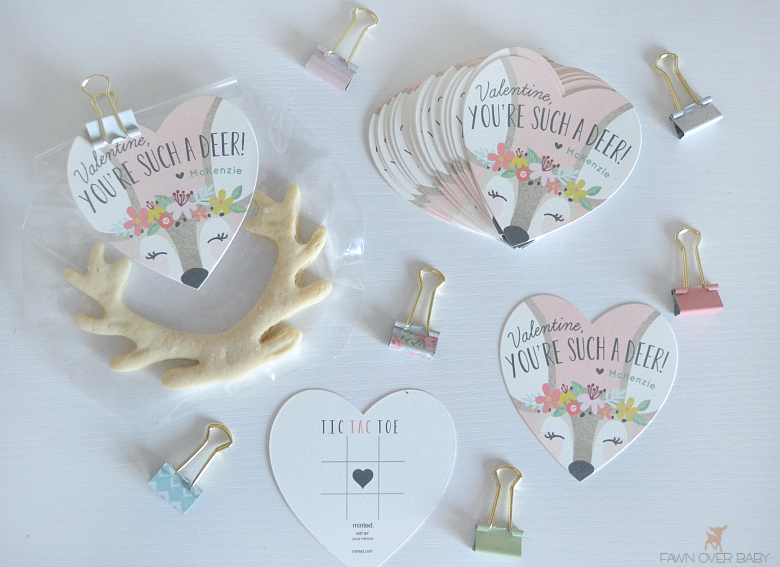 The cards came with the perfect size envelope to fit each of the heart shaped valentines making it super convenient for assembling! 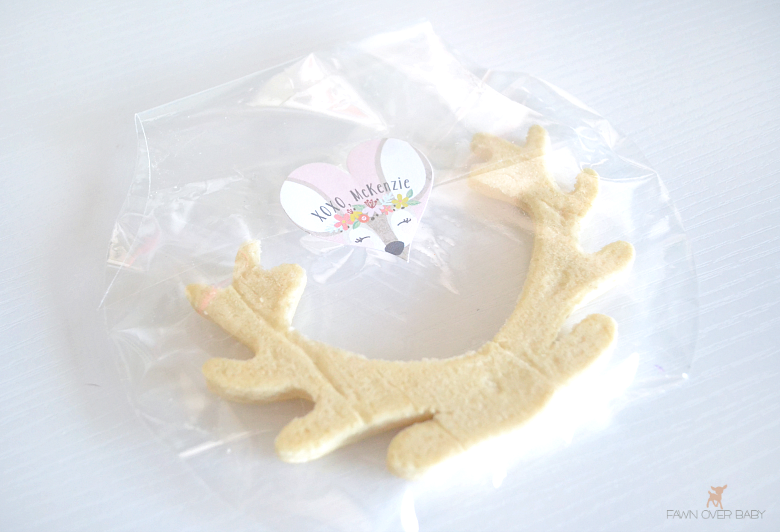 After being inspired by this fun and fanciful design, I decided to keep going with the theme and add a little cookie treat! 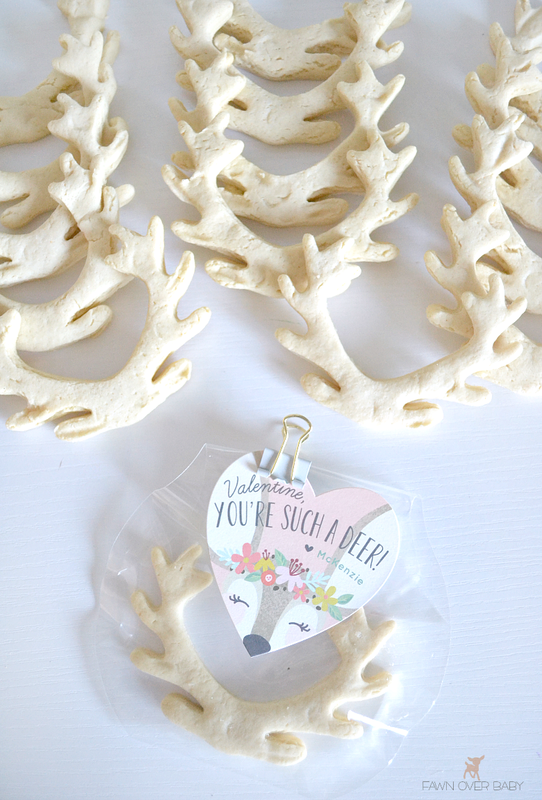 While browsing Pinterest, I found wonderful blog Home Stories A to Z, and spotted the most adorable antler cookies that I just had to include! 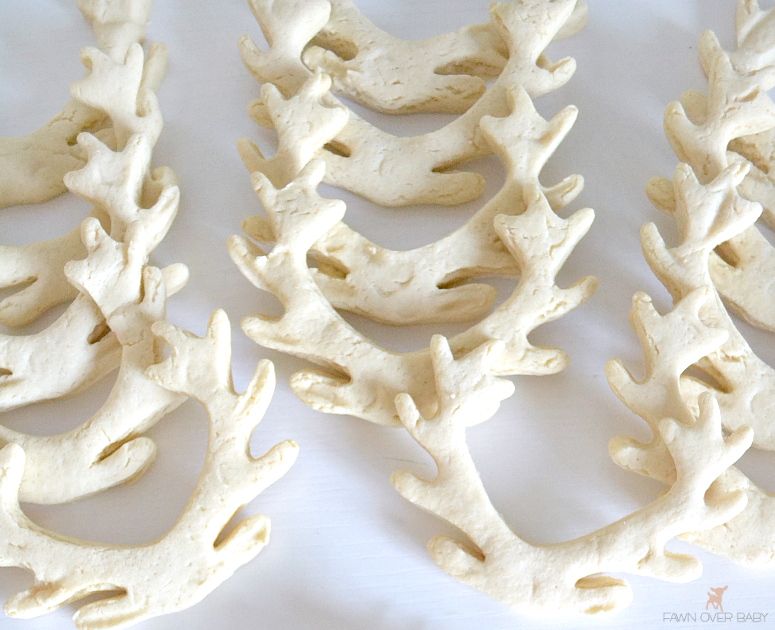 After following blogger Beth's easy and delicious recipe, I used an antler cookie cutter from here and they turned out amazing! Which NEVER happens when I'm in the kitchen baking! I'm the worst, so if I can pull this off so can you! lol! 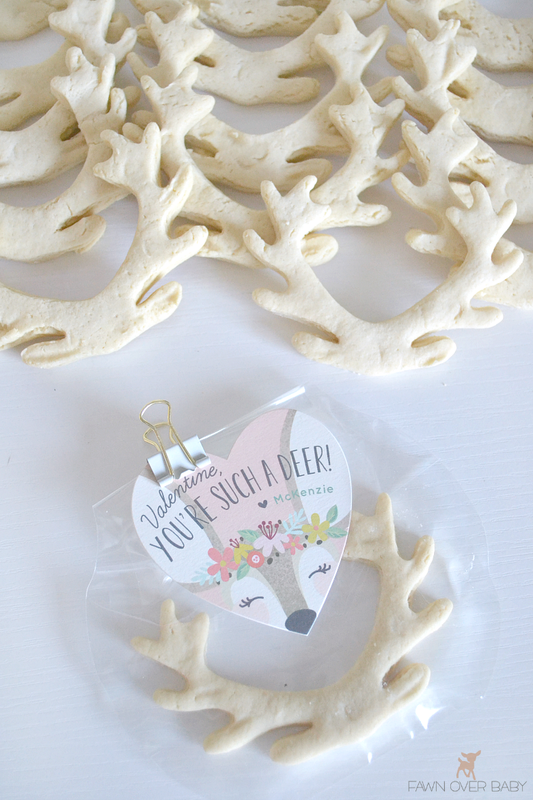 They fit perfectly in cellophane bags that I had left over from Christmas and the ever-so-adorable coordinating stickers from MINTED made the perfect closure for this sweet treat! 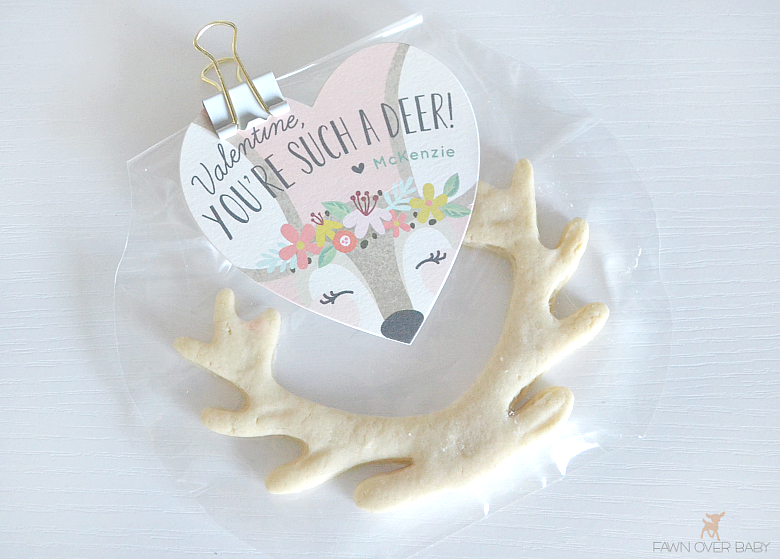 I went back and forth on whether or not to use the convenient envelopes but in the end decided to just clip the valentine cards onto the wrapped cookie. They are just too cute to hide behind an envelope. I came across these sweet mini binder clips at Target and they coordinated perfectly! 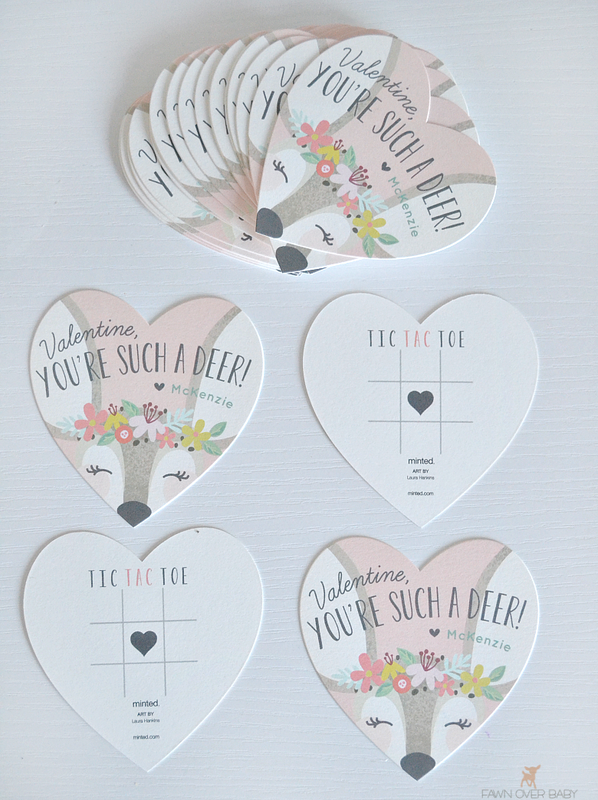 If you are still in need of Classroom Valentine Cards, I would highly suggest you check out MINTED CLASSROOM VALENTINE COLLECTION! 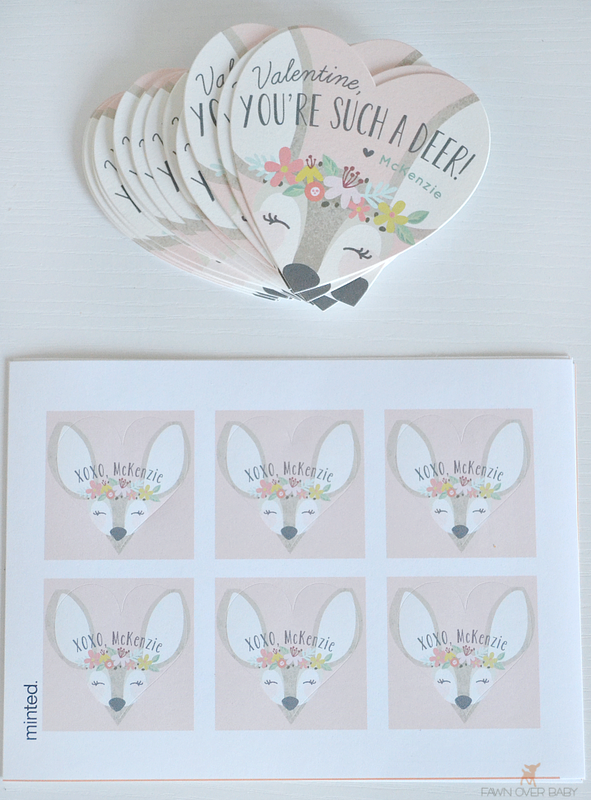 You will be so glad you did and your little will have a fun and uniquely personalized valentine gift that their fellow classmates will LOVE! 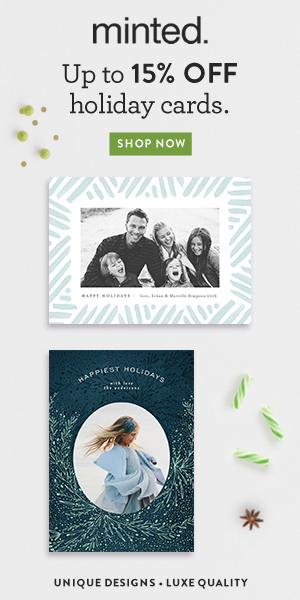 Hurry Now and take advantage of MINTED awesome promotion! 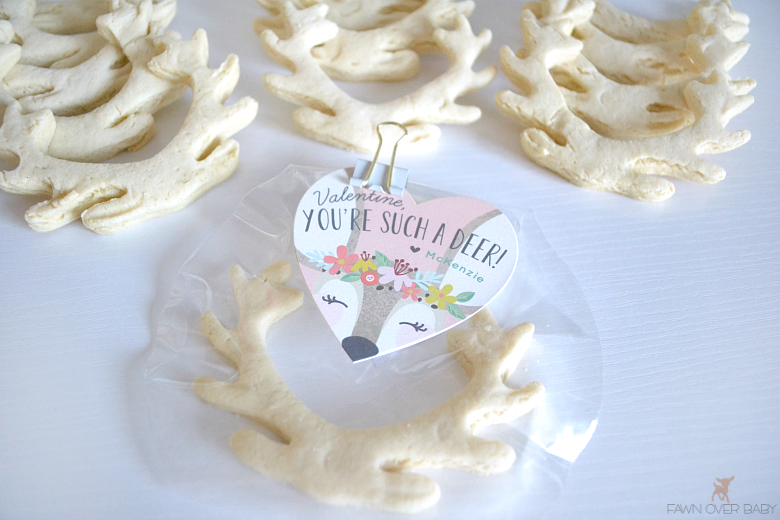 Get 15 Cards for only $14, with FREE upgrade to any card shape! !